Shopping for boat stabilizers can be quite a drag, as traditional hydraulic systems tend to slow down your craft. There is just no way around the bulky heaviness of hydraulic stabilizers or the slower response time they create by nature. Serving the marine industry for over 40 years, we saw the need for cutting-edge stabilization technology. We decided to meet the demands of our customers by developing air-powered boat stabilization to improve your time at sea. Gone are the days of slow reaction times and seasickness from boat rock and roll. Air viscosity is very low, especially when compared to oil needed for hydraulics. This means that it requires less energy to power the system, and the fins are able to work much faster for instant stabilization. Gyro boat stabilizers with fins do not require as much heat to operate, as do hydraulic-powered fins. Because oil is so thick and heavy, heat is used to improve flow. Air is light and agile, and the compression allows it to quickly and easily flow without much, if any, resistance. Pneumatic (air) systems weigh less, as the components needed in a hydraulic system are larger and heavier than pneumatic machinery. This prevents any slowing of your boat after installation of gyro stabilizers with active fins. Air is a very safe and clean power system. Line breaks can and do occur. If an air line breaks, simply repair or replace it with no other consequences. You can easily shut the air off, and you don?t have to worry about risk of a fire since it is non-flammable. If an oil line breaks however, it can be dangerous, as it spills extremely hot, messy, flammable fluid. Compressed air allows for smoother movement of the fins, as well as the boat overall. Since oil is not compressible, it can cause hard jerking motions while the fins are actively trying to stabilize the vessel. 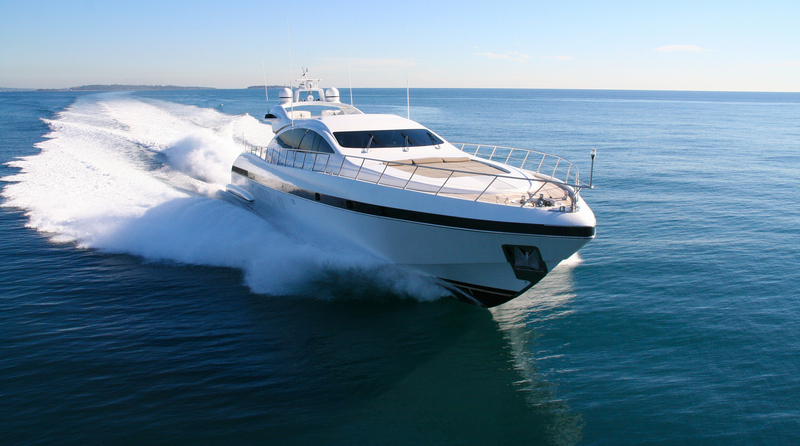 On the other hand, air helps to cushion, softening the rough seas for a more enjoyable ride. Pneumatic systems often have fewer parts that need replacement. The jerkiness of hydraulic systems often leads to the breakage of pins and other parts. Hydraulic stabilizers tend to require large fins that are susceptible to damage. Repairs add up over the lifetime of boat ownership. Based on the size and speed of your boat, we can determine which of our boat stabilization products in Stuart will allow your boat to perform without drag caused by hydraulic stabilization. When it comes to superior boat stabilization for your yacht or other sea vessel, pneumatic stabilizers with active fins are the finest choice, giving you an advantage over heavy hydraulics. Contact Gyro-Gale Stabilizers today for more information on our air-powered ultra-high-speed (UHS) fins and other boat stabilizers in Stuart, Florida.